We have journeyed through thick and thin with regards to the war on drugs. We know that some things that said about drugs were lies. Thanks to science, we have managed to unravel this kinked web of deception. That is why we are experiencing sharp changes in drug policies, such as the legalization of cannabis. The UN is planning on reassessing its drug laws, which are by now quite outdated. Scientists from all over the globe are challenging the preconceptions about addiction and how we treat drug users. One of the drugs that we hope to legalized soon is kratom. The American Kratom Association has been working on making this vision a reality. There are healthcare agencies all over who are aware of the advantages of kratom and are against its banning. Some of the users who have experienced its benefits are also working on its legalization. Here are the top ten reasons why we should join forces towards the cause of legalizing kratom. 1. 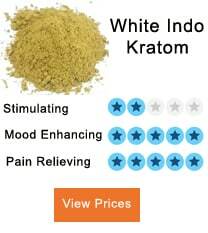 Kratom is an alternative to harmful painkillers. Kratom is an effective painkiller that has minimal side effects. It is not as addictive as opiates and does not cause fatalities. Compared to other painkillers like morphine, it is not in any way harmful. Opiates are known to cause several fatalities. For instance, overdosing from opiates resulted in about 18,000 deaths in America in 2014. 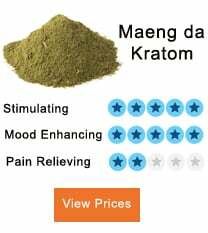 Kratom is not an opiate, so it doesn’t have similar effects. 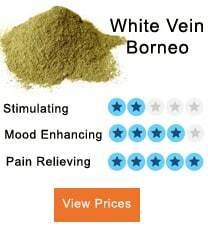 It is a natural substance that works by binding to the opiate receptors to block pain. When it is in its unadulterated form, kratom is safe to use. 2. Kratom is a potential natural stimulator Kratom works similarly to caffeine with regards to the stimulation of the central nervous system. It uplifts mood and aids in concentrating and focusing better. One can experience the stimulation even after taking small kratom dosage. Other potential stimulators that you can find in the market such as amphetamines are harmful to human health. Such drugs are known to cause CVS issues. On the other hand, kratom is extremely safe and has few side effects. 3. Legalizing kratom will make our country safer Once kratom is authorized, there won’t be any more crimes that happen during substance tracking. It can also be made safer by excluding the promise of illicit money. 4. Kratom is helpful in eliminating opiate addiction Kratom is known to act on the opiate receptors. It produces similar effects to an opiate, but it is not classified as an opiate. Therefore, it can reduce opiate addition by giving similar effects to opiates but in a lesser intensity than opiates, without causing addiction. People who have been through opiate withdrawal admit that only a few addiction elimination methods can match up to the how to use kratom. 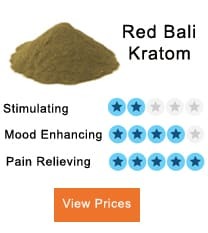 When using kratom for breaking the opiate addiction, you will experience minimal opiate withdrawal symptoms; thus making it easier to deal with the addiction. 5. Legalizing kratom will regulate its use. We have already discussed the effects of banning drugs. The prohibition of marijuana use has been a total failure. Research shows that the excessive use of marijuana has affected many people, even though it is a banned substance. The users of methamphetamine are increasing by the day, and many people are suffering the effects of its use. The moment that a substance is legalized, the government can control it, thus eliminating the possibility of overdose. You know the batches of the drug that have produced, where they have taken and who has used them. You know the components of the product and can undertake quality control measures. 6. Legalizing kratom will enable research. It is clear that only scant information is available about kratom. This is because kratom’s illegal nature has made it almost impossible for scientists research on it. Once it is legalized, health care workers and scientists will start looking into the kratom facts, uses, side effects, and kratom benefits. This means that hundreds of arenas will be opened with detailed research on kratom. Studies will prove its potency and efficacy; thus enabling many people to benefit from its use. It will also promote the standardization and safety of kratom. 7. 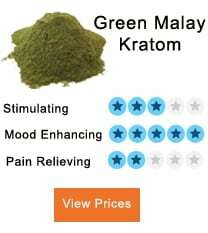 Kratom has an array of medicinal uses. 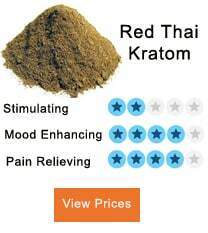 Most people know kratom as a painkiller, but it has other many applications. Besides being a substance that aids in opiate addiction, kratom can also help with hypertension, diarrhea, inflammatory conditions, diabetes, and other diseases. However, research on its other uses is still scanty, a problem that will be hopefully resolved by legalizing kratom. 8. Legalizing kratom will decrease the black market Even though kratom is a banned substance, people still find ways of selling it through the black market. The prices are likely to skyrocket because there isn’t any regulation by the government. The black market is therefore expected to rise, and there is a possibility that an adulterated form of kratom will get to the consumers. A study that involved observation of the sale of adulterated kratom showed that its sale is rampant and once used by a person with respiratory depression it resulted in death.It is clear that kratom should legalize ASAP. 9. Kratom is a natural substance At the moment, researchers are looking into new substances that can be used to cure diseases. Kratom is a natural substance that is derived from a plant within the coffee family. It was used in traditional medicine to treat various diseases. In its form of raw leaves, kratom is an entirely safe substance. It has insignificant side effects when taken alone, and not alongside other drugs. Kratom extracts might results in consequences that affect the body adversely. These are some of the researches that legalizing kratom will promote. 10.Kratom is readily available and has low abuse potential When compared to other substances used for medicinal purposes such as analgesia, kratom is readily available and at reasonable prices. Legalizing kratom will help people to access it, thus alleviating their ailments effectively. On the bright side, kratom has low abuse potential. This implies that it is unlikely to cause addiction unless taken in extremely high doses or when consumed as tinctures.